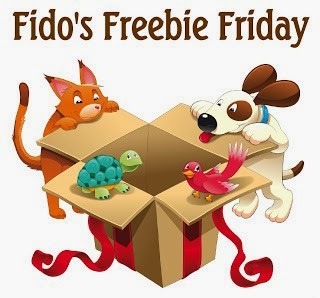 To Dog With Love: Fido's Freebie Friday: Valentine's Day Delay! Fido's Freebie Friday: Valentine's Day Delay! It's also time for Valentine's Day celebrations in many places around the world, EXCEPT perhaps in Atlanta. It seems since we've all been snowed in AGAIN, some folks are lobbying for a Valentine's redo. I think that's a great idea for the florists and other establishments who have been affected by our snow/ice storm of "catastrophic" proportions. We haven't left the house, except for walking around the neighborhood, since Monday. Yikes! We do commend city officials and local weatherpeople for putting the fear in Atlantans to keep them off the road. It would have been MUCH worse if folks had been out driving in this sloppy mess of snow and rain. 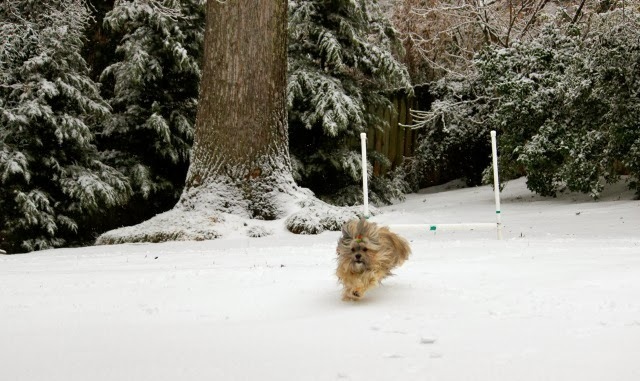 Rocco, however, has had a big time in the snow. Too bad it's all starting to melt now! In any event, whether you celebrate Valentine's Day this week or next, you won't want to miss any of the pet-related giveaways below. Enter them all or add your own! We make it easy by linking them up all in one place! This week, you won't want to miss the chance to win our amazing dog training prize pack from PetSafe! Be sure to check out all the other great giveaways below too.